With a €1 million guarantee for the flagship Main Event, Battle of Malta 2018 certainly set a high bar for success. But what a week it was! 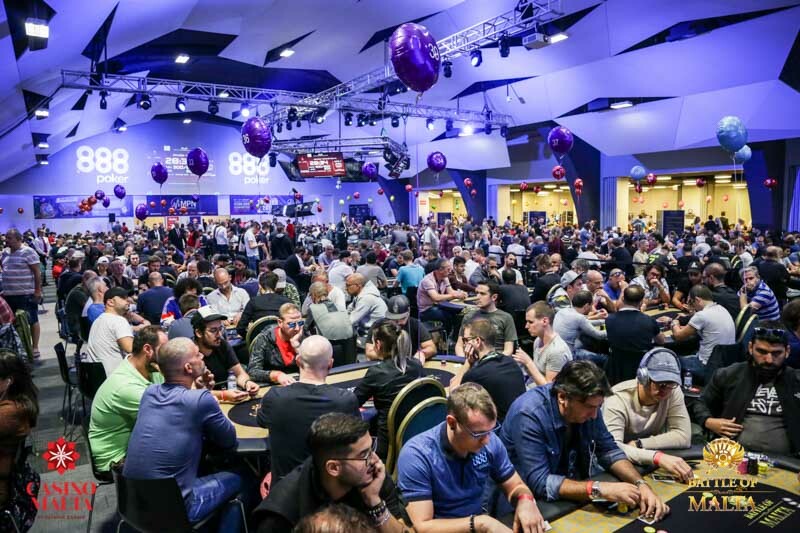 With 3,816 entries for the Main Event – nearly double the expected number – and 13,000 tournament entries overall, the tournament venue was packed throughout the six-day festival and made this year’s Battle of Malta a spectacular success. Now run by Casino Malta, the event took place October 25-30 in a brand new venue – the spacious Eden Arena at the InterContinental Arena Conference Centre. The new Battle of Malta champion is Malta-based French playerJulien Stropoli who won €168,500 after a five-way deal. He bested a tough final table featuring previous MPN Poker Tour finalist Mantas Urbonas, two-time Unibet Open champion Mateusz Moolhuizen and Grosvenor Ambassador Andy Hills, as well as fellow French pro Maxime Canevet (who was runner-up) and a clutch of talented amateurs. 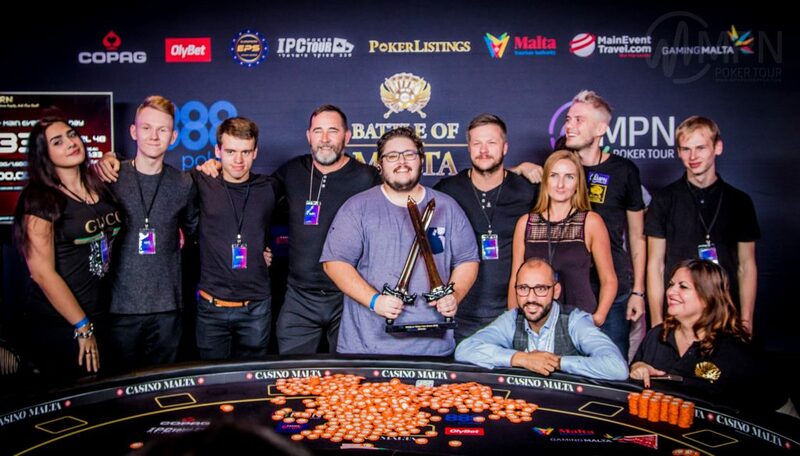 With 3,816 entries over four starting flights, the €550 buy-in event smashed the previous record for a poker tournament in Malta, which was held by last year’s 2,074-entry Battle of Malta. The total prize pool was €1,850,760, shared by 570 players and nearly double the €1,000,000 guarantee. The €1,320 High Roller event was won by Itay’s Simone Speranza for €60,000 in a high-speed final that included November Niner Fernando Pons and Estonian poker legend Henri Kasper. 888poker Ambassador Ana Marquez finished 23rd. The Poker League of Nations Ladies Event was won by Latvia’s Madara Sviksa who beat Ana Marquez heads-up, while British player Paul Jux-Holderness won himself a seat in next year’s Battle of Malta by beating tennis legend Boris Becker heads-up in the Pink October Malta charity event.